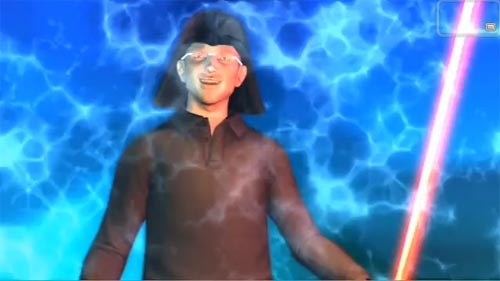 Just as the image shows, Steve Jobs had beaten Microsoft dressing up as Darth Vader in Star Wars, and taken its place. Maybe we should call him Darth Jobs in the video. Undoubtedly with the help of 3D animation and humor, the video tells several things that make customers sick, also including the reception problem of iPhone 4. After the break, check out the black humor styled video about Steve Jobs and the fresh iPhone 4. Don’t forget to tell us where you think is the funniest part. By the way, in addition to iPhone 4 case, we still have other solution for the iPhone 4 reception problem such as the iPhone 4 band-aid and homemade rubber wrap.